Small Group Training comes to the Eau Claire Y! Need a new challenge or like a bit of the ‘unknown’ thrown in to your workouts? Class schedule doesn’t suit your timetable or you need a bit more flexibility built in? Want to try personal training but it’s just out of reach? YMCA Eau Claire is excited to launch a new way to get fit with the introduction of Small Group Training. Small Group Training (SGT) offers a dynamic, trainer-driven workout that is scalable to all fitness levels. Your workout could include free weights, sprints, kettlebells – whatever your trainer feels inspired by – plus always a ton of core work. And because of the guaranteed small class size you will receive all the hands-on expert guidance that you need to be safe and effective. If you already know what you’re doing, jump straight in to the workout and compete against yourself! It will be a fresh workout each time with progressions built in for regular participants. Simply purchase a single or multi-visit punchcard from member services then turn up to any of the advertised times. There’s no need to register or sign up in advance. If you want to bring a friend they just take a punch from your card. If you’re feeling generous or trying to encourage a colleague/loved one to get more active, give them a card as a gift. 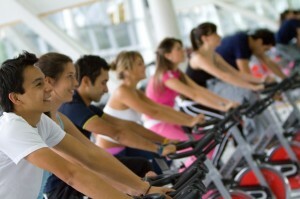 They are fully transferrable and start from just $18 per class for members and $24 for non-members. All sessions will commence in the Functional Training Zone on the 4th floor. They may then lead to other parts of the facility or even outside (can you say Crescent Heights stairs?!). Everybody! 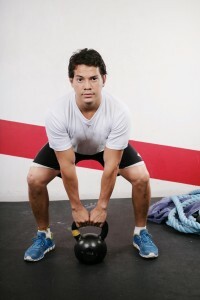 All workouts will be scalable to challenge the beginner through to the advanced participant. If it’s your first class just let your trainer know so they can set you on the right course and make sure you receive the right amount of attention. Small Group Training will run year-round, there will be no fixed start or end date. There will always be a selection of times available across the week which will be listed on the website and in the branch. If none of the listed times suit your schedule, find 3 friends and we’ll create a group just for you! Classes are capped at 8 participants per session so make sure you arrive on time to secure your place. Why not?! If you’re unsure if it’s for you, observe a class, chat with the trainer before/afterwards or jump in for a single session and see how you go – the worst that could happen is you get a great workout, the best is that you make some new friends! Any other questions can be answered by our member services staff, personal trainers or you can contact me directly on the email address below. Core exercise advice: Be nice to your spine! Many people are asking me about how to train their core and how to perform different twisting exercises. My suggestion regarding twisting exercises is to avoid them unless they have been suggested after the consideration of a professional trainer. Twisting exercises can put your lower back in danger. Just as with all exercises bad technique can lead to injuries very quickly, especially with twisting involved. I have read an excellent article about it by Joseph M. Horrigan; Published in IRONMAN Magazine, June 1991. Updated by author, May 2007. This great article explains how the lumbar spine works and why it is not designed to do lots of twisting motions. Especially when seated twisting performed with weights can quickly deteriorate your disc in your lumbar spine. Through my personal experience I can fully agree to his warning and advice. It is always good idea to ask a Personal Trainer before starting a new exercise. Lena’s Tip: Don’t train with a weight belt unless you are performing max lifts on exercises such as the deadlift, squat, or overhead press. Training with one on a regualr occasion actually weakens abdominal and lower back muscles over time. Train safe! YMCA Fall & Winter Program Registration for members STARTS TODAY! (Non-members on August 20). Click here to find out more about YMCA Membership. Click here to read the full article on www.YogaJournal.com.